The Catechism of the Catholic Church is a teaching tool. It is a concise explanation of Catholic beliefs. The Catechism includes quotations from many papal encyclicals, church council documents, and the Scriptures. It refers to these as reference points for Catholic teachings. Although it is important, the Catechism is not considered a sacred text like the Bible. In fact, the Catechism we have now is fairly recent, although it describes ancient beliefs. The catechism helps to consolidate all of the Church’s teachings into a handy reference. The word catechism has it roots in the Greek word katechizo meaning to teach by word of mouth. Prior to the invention of the printing press the primary method of communication was oral. It would have been impossible for the average person to have a copy of the Bible or Church documents. An early church catechist would speak a teaching of the Church and instruct the listener to repeat it until it was learned by heart. The first Catholic catechism was written after the Council of Trent. It was published in 1566 and called the Roman Catechism. A new catechism was not created until 1994 called The Catechism of the Catholic Church. Other bishops in various parts of the world have produced catechisms, such as the Baltimore Catechism of 1885. However, there was not a universal catechism produced between the years 1566 and 1994. The Catechism of the Catholic Church is intended primarily to explain the teachings of the Catholic faith. It is an excellent reference for the Catholic faithful. It is also a great resource for non-Catholics interested in learning what the Church really teaches. Many misunderstandings about the Church’s teachings on controversial issues can be resolved by looking at what the Catechism says about Catholic beliefs. The Catechism can also help our spiritual life because it is a clear, systematic, and comprehensive presentation of the essentials of the Christian faith. By meditating on the teachings of the Church, we can grow closer to God the Church proclaims. Is there only one Catechism? 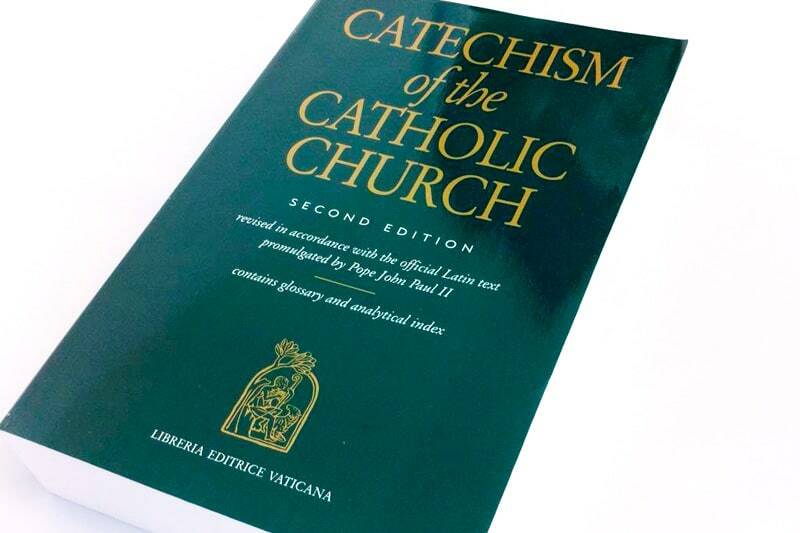 Not only can individuals learn about Catholicism from the Catechism, but also the Catechism can serve as a source for the creation of other teaching materials. Many RCIA (Rite of Christian Initiation for Adults) programs rely on the Catechism as the basis of their instruction for those seeking to learn more about the Catholic Church. Study materials can also be created based on the Catechism. These might include textbooks for use in Catholic schools or commentaries on the Bible in light of the Catechism. The Catechism can also be adapted for specific audiences. There is only one official Catechism of the Catholic Church, but it has been adapted in many different ways. Some adaptations seek to simplify the Catechism to make it easier for different audiences to read and understand it. YOUCAT is an effort to bring the Catechism to a teenage audience and put the sometimes technical language of the Catechism into terms young adults can easily understand. The United States Catholic Catechism for Adults is a more condensed and reader friendly version of the Catechism for adults. Do Catholics believe the Catechism is like the Bible? Some people mistakenly elevate the Catechism to a sacred status, as though it is equal to the Bible. When this happens, it seems as though the Catholic Church has multiple sacred and inspired books, instead of the Bible being the only inspired book. In reality, Catholics do not believe that the Catechism is sacred writing. The Catechism is not a holy book in the sense that the Bible is. If it were, the Church could not make a new Catechism. The Church can choose a new official Catechism, but not a new Bible. The Catechism we have now is not the same one as at the Council of Trent. On the other hand, even though the Bible we have now is translated into modern English, unlike the Bible at the Council of Trent, it has not been rewritten. The same Bible the Church had at the Council of Trent cannot be rewritten as the Catechism was rewritten. Our current Catechism is in keeping with the doctrines of the Roman Catechism, but it is not just a translation of the Roman Catechism into modern English. Rather, it is a new Catechism. It is useful for unpacking the Bible and understanding the truths of the Bible. Through the Catechism we can learn more about Jesus and about God’s will for our lives. We can also see how the Holy Spirit has guided the Church when we read the Catechism, because the Catechism shows how Catholic belief builds on Scripture and the teaching of the Church over centuries. You might wonder why the Church would update the Catechism at all. After all, doesn’t the Church claim that its teachings don’t change? Yes! However, our understanding of the revelation of Jesus Christ can develop. St. Paul would have said that Jesus is “consubstantial with the Father” if he were writing a Catechism. But at the Council of Nicea in 325, the Church discerned that saying Jesus is consubstantial with the Father is the best way of expressing the truth St. Paul knew: that Jesus Christ is God. “Consubstantial” showed exactly what we mean when we say Jesus is the Son of God. Likewise, the Church has developed new ways of understanding old teachings since the Council of Trent. Furthermore, the current Catechism addresses issues that were not of concern at the time the New Testament books were written, or even at the Council of Trent. Issues like widespread abortion, nuclear warfare, and many others are specific to the modern era. The Church has things to say about these issues, and so a new Catechism was necessary to show what the Church teaches about these things. How can I read the Catechism? The Vatican website makes the Catechism of the Catholic Church available to read for free. You can also download the Catechism for your Kindle. It is easy to find hard copies of the Catechism, too, if you prefer to read a traditional book. Just as the Church wants to make the Bible available to every Catholic, so also it wants to make the Catechism available to all.